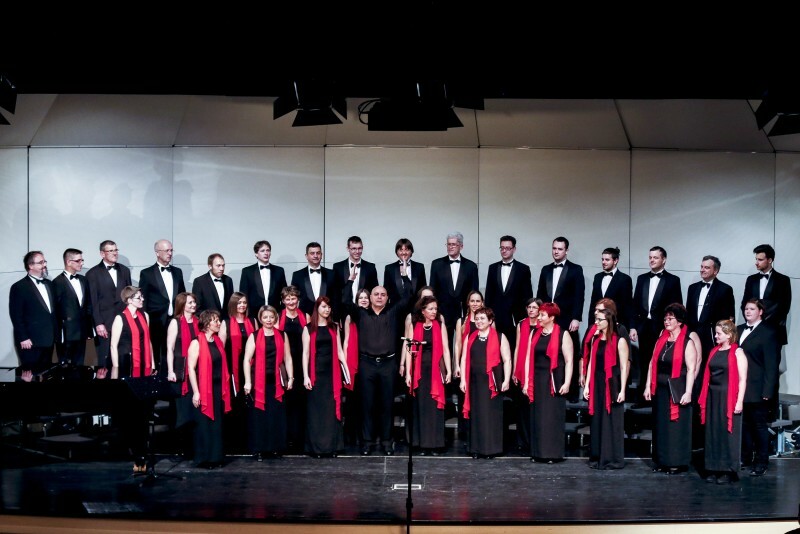 At the end of April, the Choir is leaving on a tour on the Canary Islands. Performing abroad, at least, every two years, became our tradition. This time Spanish temperament is next to be enchanted with our singing. We are trying to gather at least a part of our expenses, to relieve the travel costs. 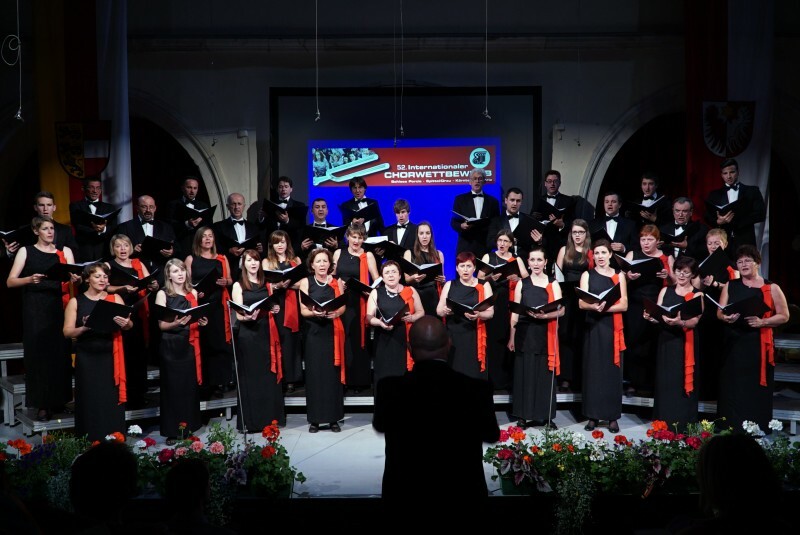 The Academic Choir France Preseren Kranj was founded in 1969. Since its very beginning, the choir has been highly ambitious. 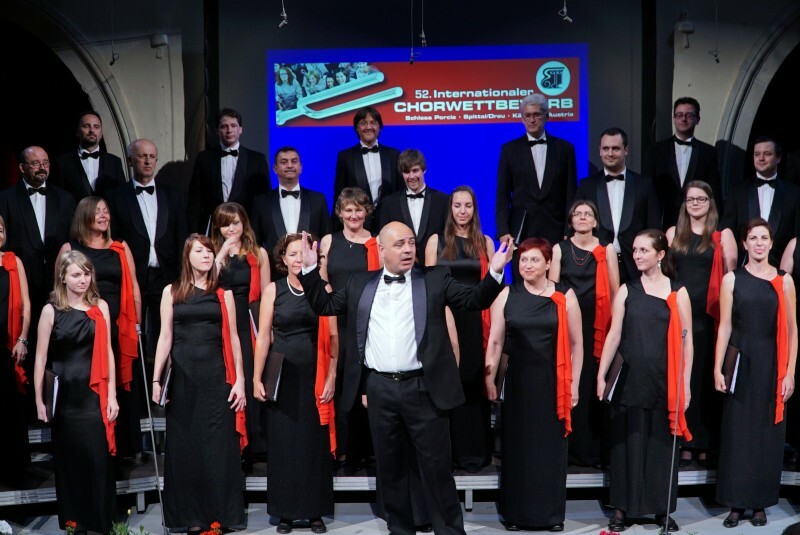 The choir frequently participates in both domestic and international festivals and competitions. It has performed in the large majority of the European countries, as well as in Israel, Mexico, the United States of America, Argentina, Chile and Russia. In July 2015, we returned from 52. International Choir Competition in Spittal (Austria), where we achieved the third place and the award of the City of Spittal, which is one of the biggest achievement of the Choir, besides having quite many first awards and golden medals, since this is one of the most prestigious competitions in the World. We sing songs of all musical genres: classical, folk, popular, gospel, musicals, and more. Since the foundation the choir performed over 900 different musical pieces. Currently, there are 38 members of the Choir. One third of the singers are students and all the rest are occupied with different professions. Among us, there is still a singer, who has been singing since the establishment of the Choir. We sing out of love and joy for music and our aim is to transmit this to the public as many times as possible, which is efficiently done by performing at home or abroad. For the tour on Canary Islands we decided upon the invitations of the Choirs of the Universities from Tenerife and Gran Canaria. We are going on the 27th of April 2016. The first concert will be on the 29th of April in La Laguna (Tenerife) and the next on the 30th of April in Las Palmas (Gran Canaria). The programme will be composed of world’s classical and Slovenian folk songs. This will be exceptional promotional event for the Choir and also for Slovenia because it will be the first visit of any Slovenian choir on the Canary Islands. Throughout the choir’s fruitful period of existence, several world-famous names have cooperated with the choir, including Uros Lajovic, Fabio Luisi, Eric Ericson, John Rutter, Ariel Ramirez, Gary Graden, Riccardo Muti, Valerij Gergiev and Matthias Bamert. Since 2013 the choir has been lead and conducted by Fernando Pablo Mejias, who began his prosperous musical career in his native Mendoza. 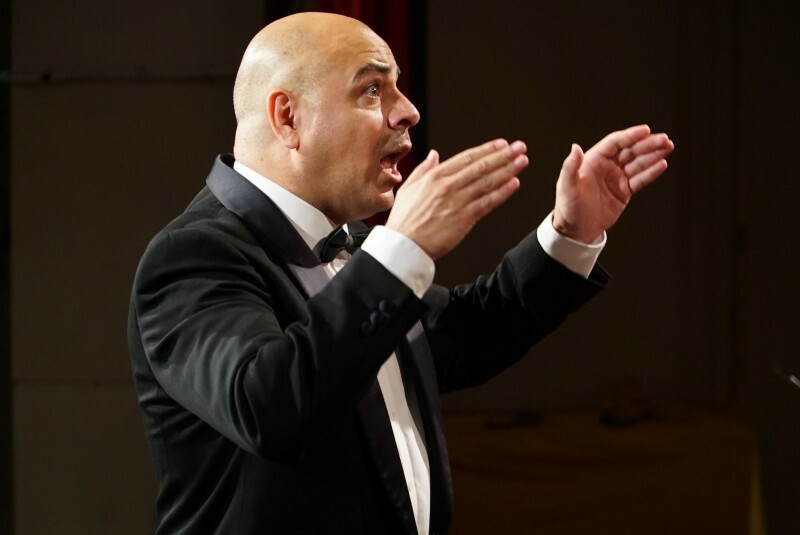 Since 1998 he has been a professional musician in Slovenia and a conductor of several Slovene choirs with whom he has been achieving great successes all around Europe. He is also a singer and assistant in the Slovenian professional Choir of the Slovenian Philharmonics.